One of the great traditions about the upcoming Austin Marathon is its Austin Gives Miles (formerly 26 charities for 26 miles). One of those charities is probably one you haven’t heard much about (if anything). It’s called Duchenne Muscular Dystrophy (DMD). It’s a relatively rare genetic disease that affects one in every 3500 boys worldwide. In Central Texas, there are about 10 known cases of this terrible disease that causes this muscle weakness in boys and about 200,000 known cases. Tragically, DMD is always fatal. 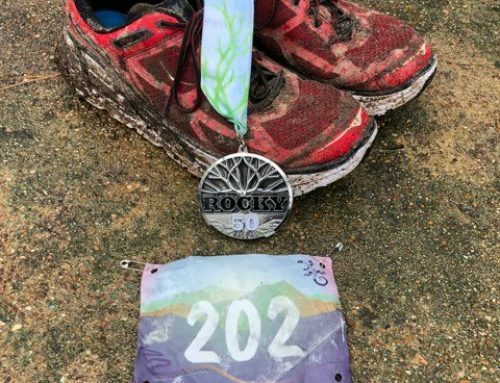 While there isn’t any known cure for the disease yet, veteran Austin marathoner Tim Revell is doing his best to raise as much money as possible for research so that someday there might be a cure for this disease. Revell’s son Timothy, who is now 10 years old, was first diagnosed with this disease in 2005. —is just one of the 30 charities that raises money during the marathon. In his eight prior years of running Austin to raise money and awareness for Duchenne, Revell has netted thousands for DMD research from contributions. This year, Revell hopes to raise $10,000. He’ll be easy to spot at the finish as Revell customarily finishes the marathon by running the final 100 meters with Timothy. Although Timothy can walk and functions normally in most ways, there are some physical activities he’s unable to do because of the effects of the disease. But as the disease progresses (as it always does), he will probably be wheelchair-bound, says his father. There are drugs—namely, steroids–that will prolong his ability to walk, but there are side effects. Regardless, boys with Duchenne have a life expectancy—in the best cases—to the early 20s. This year, Cure Duchenne will be sponsoring the aid station at mile 24 ½ mile on Duval (right at Double Dave’s Pizza) which will be staffed by friends families of boys with Duchenne and boys who have the disease to lend their support. If you’d like to contribute, either go to the foundation website (www.cureduchenne.org) for more information on this worthy cause or contact Revell @ 512/789-5936 or timothy.revellstandardregister.com.